After winning the Institute of Water’s South West Area Innovation Award earlier this year, South West Water’s Love Your Loo campaign went on to represent the South West at the Institute of Water National Innovation Awards in Glasgow this week. The campaign beat five other regional finalists to clinch the coveted national title. The judges were particularly impressed by the evidence that demonstrated the Love Your Loo campaign, which encourages customers to flush only the 3Ps – pee, paper and poo, has successfully reduced the number of blockages and floodings on the sewer network. Sir Brian Bender, Chairman of Water UK and Head of the judging panel, said: “The panel were particularly impressed with the strength of the submissions and it was so encouraging to see the breadth of innovations that are taking place across the water sector. 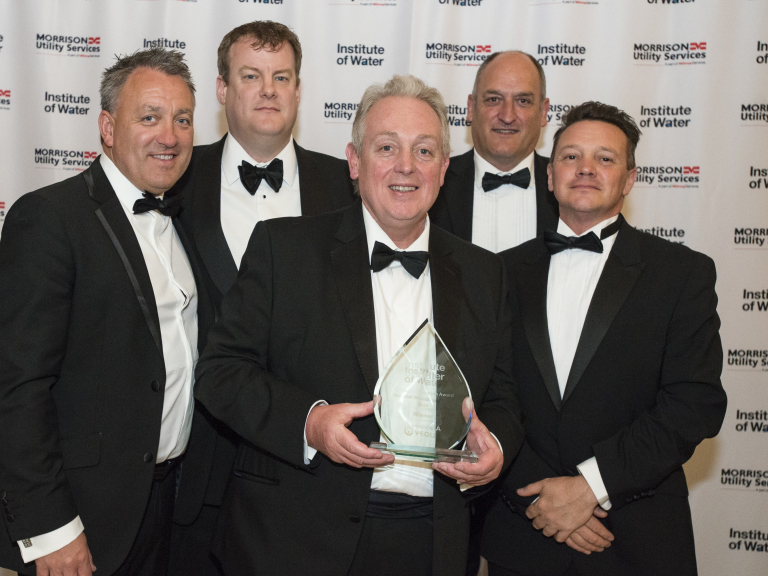 The Institute of Water National Innovation Awards celebrates some of the most innovative individuals and companies from within the UK water and wastewater sector. Each year, each Area of the Institute holds a regional innovation competition and the finalists from each are short-listed for the National Award. Anna Hopwood, South West Water’s Head of Waste Water – Customer Service and Networks, said: “Our innovative Love Your Loo campaign goes from strength to strength, thanks to support from our customers. The Love Your Loo campaign, which launched in 2015, also won three Chartered Institute of Public Relations Pride Awards in 2016 and was also shortlisted for the Community Project of the Year at the Water Industry Achievement Awards 2017.